Potassium is an essential element that helps maintain the balance between body cells and fluid. It also plays a key role in enabling nerves to respond to stimulation. Potassium deficiency, also known as hypokalemia, occurs when the level of potassium in the blood is less than 2.5 milliequivalents per liter (mEq/L). Ideally, potassium levels should be between 3.6 and 4.8 mEq/L. According to MayoClinic.com, a very low potassium level requires emergency medical attention and can be life-threatening. Hypokalemia usually results from vomiting, diarrhea, adrenal gland disorders or the use of diuretics. Visit your doctor to confirm and determine the cause of your low potassium levels.The diagnosis is based on simple blood tests to check potassium levels. The body normally maintains the right levels of potassium by matching the amount of potassium consumed with the amount lost; levels become low when too much is lost from the digestive tract or through excessive excretion in the urine. Consume potassium-rich foods. 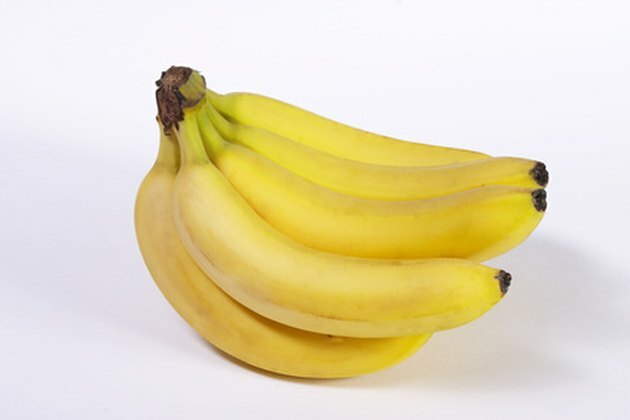 The recommended daily intake for potassium is 3,800 mg for children and 4,700 mg for adults. One baked potato contains 926 mg of potassium, one banana provides 422 mg, half a cup of raisins has 598 mg and 6 ounces of prune juice supplies 528 mg. Additional sources include lean meats, peanuts, lima beans, tomato juice, orange juice, almonds and cocoa. Take a potassium supplement to help restore healthy potassium levels. According to the Linus Pauling Institute at Oregon State University, most multivitamin supplements do not contain more than 99 mg of potassium per serving. Therefore, doctors may recommend a more potent potassium supplement. Monitor your potassium levels and make sure your kidneys are functioning properly. If your kidneys are functioning normally, your doctor may prescribe potassium-sparing diuretics such as amiloride, eplerenone or spironolactone to help your kidneys conserve potassium. Consider receiving intravenous injections of potassium as a last resort. "The Merck Manual Home Health Handbook" notes that intravenous treatment may be necessary if oral supplements are ineffective, potassium levels are dangerously low and abnormal heart rhythms occur as a result. The book "Total Nutrition: The Only Guide You'll Ever Need” notes that a low-sodium diet that provides ample fruits and vegetables provides adequate potassium and decreases the risk for hypokalemia. Potassium supplementation should be closely monitored by your healthcare provider. Potassium can irritate the digestive tract. Supplements should be taken in several small doses with food rather than in one large dose. Certain potassium supplements, such as wax-impregnated or microencapsulated potassium chloride, are much less likely to irritate the digestive tract. Does Sodium and Potassium Imbalance Lead to Swollen Ankles?